"Begun, the Clone War has." 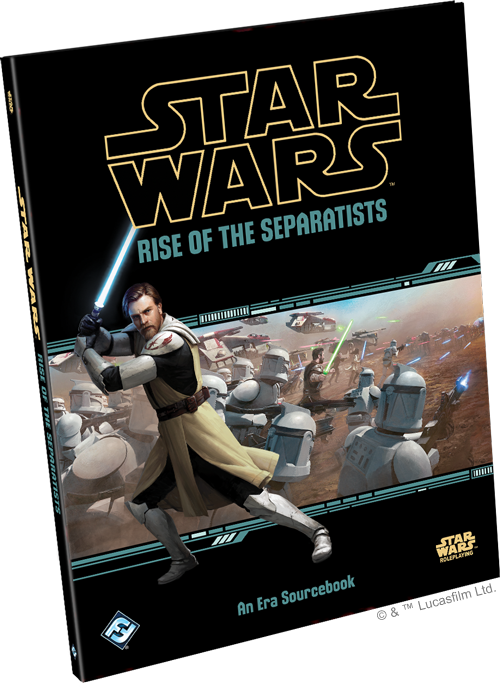 Fantasy Flight Games is proud to announce Rise of the Separatists, a new Era Sourcebook for the Star Wars™ Roleplaying Game! For users of the Force, the era of the Clone Wars is a very different time. Unlike the distant memory they are in the era of the Galactic Empire, Jedi are numerous across the galaxy. The Jedi of this time have different roles than those described in myths, legends, and folktales. Those stories describe strange mystics, tyrant-toppling heroes, and shadowy figures manipulating minds. While such tales have some basis in fact, the Jedi now serve as generals, soldiers, emergency response specialists, and—in some cases—enforcers of the Galactic Republic’s will. The Jedi receive their own career in Rise of the Separatists, representing their unique status during the Clone Wars. You can become the face of the organization as a brave Knight or learn the ways of the Force as a Padawan. Both of these specializations offer their own talent tree and give access to unique Force abilities. The Jedi alone are not enough to safeguard the Republic. 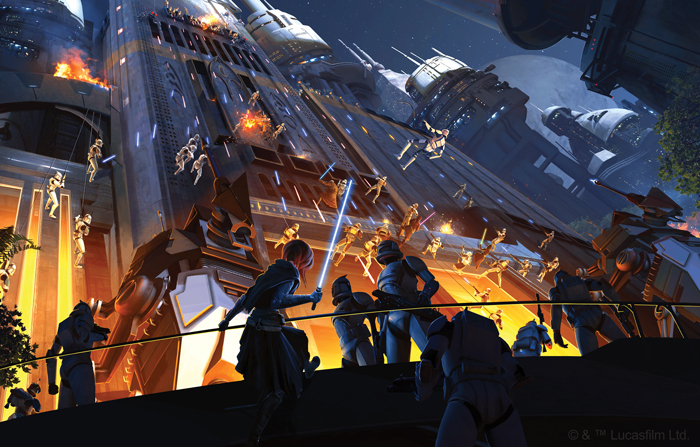 With more and more systems joining the Separatist cause, the Republic needed an army to stand up to their might. 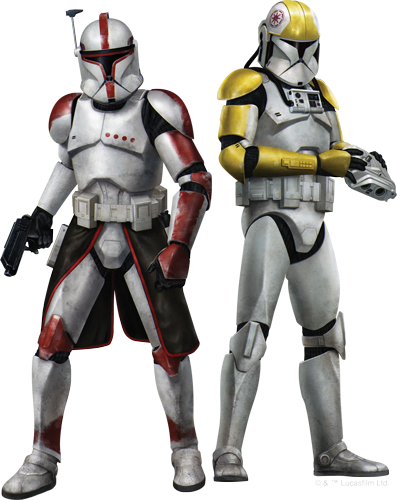 Clone Soldiers form the backbone of this Grand Army of the Republic. They serve in practically every battlefield role, fighting as infantry, leading as officers, and flying as pilots, in addition to fulfilling both mundane and esoteric responsibilities. These soldiers share their genetic identity, their origins, and their core training. However, they all have distinct experiences and personal responsibilities. These slight variations are enough to make them recognizable individuals who can secure their own niches within the vast army. For the first time, Rise of the Separatists allows you to play as a Clone Trooper in their own career path! Take on the responsibility of leading your allies to victory with the Clone Officer, take to the skies with the Clone Pilot, or stand on the front lines as a Clone Trooper. These are just a few of the new careers available in Rise of the Separatists—as you'll soon learn, the book contains even more options for Clone Wars-era heroes! Rise of the Separatists also features four new species for character creation, who came to fame during the Clone Wars. You might serve the Republic as a Clone, expand your industrious mind as a Geonosian, learn the secrets of cloning as a Kaminoan, or dwell in the shadows as an Umbaran. 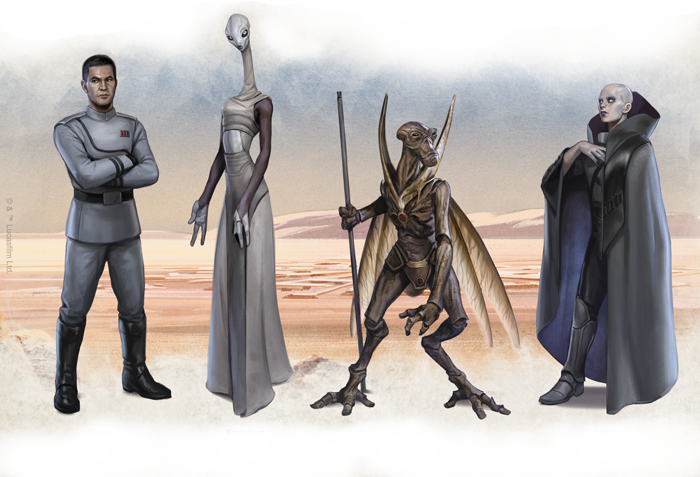 Each of these species begins the game with unique starting skills and inform your background in the Star Wars galaxy. Look for a further exploration of these careers and species in our future previews of Rise of the Separatists! 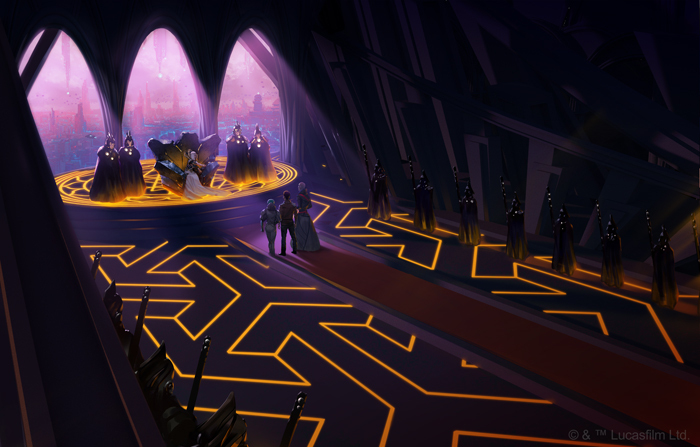 Rise of the Separatists includes a wealth of information on the early days of the Clone Wars, giving Game Masters and players alike the full context they need to roleplay in the era. While this will help players thematically, Rise of the Separatists also gives Game Masters a list of famous characters from the era, fully statted for use in your campaigns as allies or adversaries. Of course, there are two sides to the war and you may find yourself either working with or at odds with a Jedi of the Republic. The High Council regards Master Obi-Wan Kenobi as an ideal Jedi. During the Battle of Naboo, after dispatching Darth Maul, Kenobi promised his dying master, Qui-Gon Jinn, to train young Anakin Skywalker. By the time of the Clone Wars, Kenobi’s Padawan is among the most powerful Jedi in history, but he lacks experience. All the while, Kenobi and the 212th Attack Battalion deploy to some of the toughest fronts of the conflict, winning countless battles. A young Obi-Wan Kenobi is fully statted in Rise of the Separatists! Unlike his older version found during the time of the Galactic Civil War, Obi-Wan Kenobi as a Clone Wars General is at the height of his abilities. Whether it's through leading troops into battle or going head-to-head with a Sith Lord, Kenobi is a Jedi you want on your side! 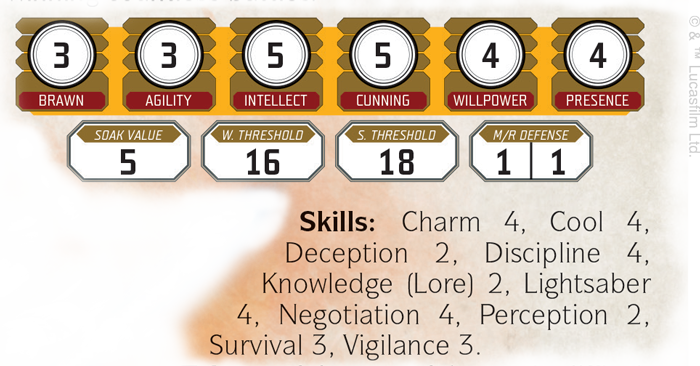 A stalwart Jedi Knight, Obi-Wan Kenobi's stats reflect his disciplined demeanor. Of course, the Republic isn't the only group with strong leadership. The charismatic Count Dooku is a figurehead of the Separatist Movement, and as a former Jedi, he is extremely dangerous in hand-to-hand combat. When encountering other Jedi, Dooku claims to hunt a Sith Lord hidden within the Republic, but Dooku simultaneously displays dark powers, which he acquired after leaving the Jedi. When you face Count Dooku, you face a warrior as cunning as he is deadly! With heroes on both sides, the Clone Wars is the home to some of the most famous Star Wars characters of all time. As your heroes traverse the galaxy, Rise of the Separatists ensures Game Masters will be prepared when these iconic characters cross paths with their players! Join the fight and pre-order Rise of the Separatists (SWR11) from your local retailer or our website!